EBAM™ is the world's fastest metal 3D Printing process. 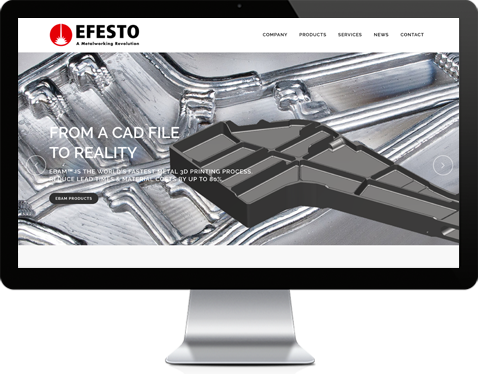 Reduce lead times & material costs by up to 80%. METAL 3D PRINTING PROCESS ON THE MARKET. 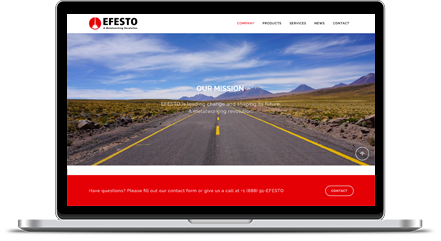 EFESTO supplies large, very large and mega size Direct Energy Deposition (DED) equipment. Depending on the specific DED technology utilized, such equipment is capable of free-form-fabricating parts and/or repairing parts with simply remarkable build volumes of 75 cubic feet up to 450 cubic feet (2.12 cubic meters up to 12.8 cubic meters). Smaller DED equipment is also available for less demanding applications. 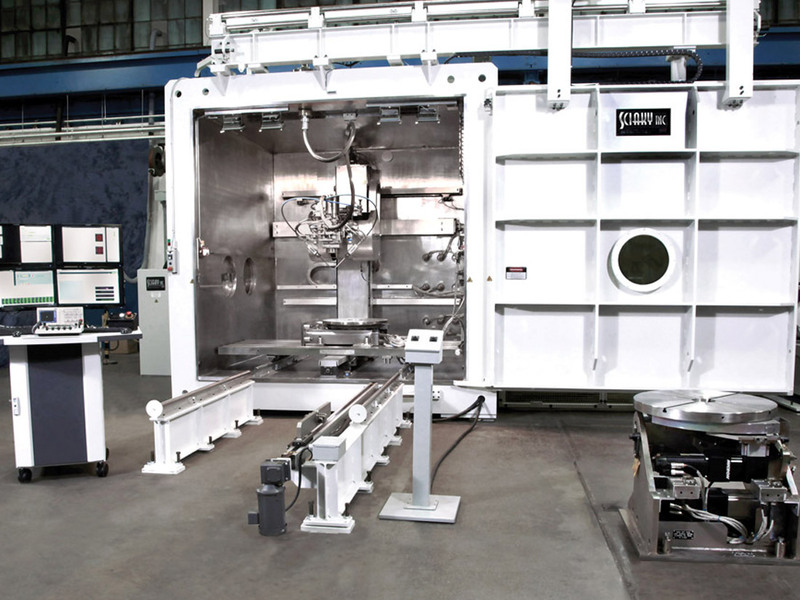 We offer value-added products, including state-of-the-art Electron Beam Additive Manufacturing Systems (EBAM™) systems, Laser Metal Deposition (LMD) machines and Electron Beam Welding (EBW) equipment. Maintenance, Repair and Overhaul, of high value/complex components. Repairs to increase yields, decrease costs and achieve a longer uptime. Laser cladding, Additive Manufacturing, surface treatment of functional prototypes and production parts along with post machining and quality control services. Optical design, CAD design, control systems integration, fabrication, assembly and evaluation services for high power laser applications. Additive Manufacturing Functional Parts of medium and large size. High quality prototype part processing and testing capabilities. Advanced materials R&D including alloy evaluation and materials characterization. Short and long term research and development projects. Machine integration, optics services, controls systems troubleshooting, laser system installation and troubleshooting. Process and equipment recommendations. We offer our customers a comprehensive range of services with leading technologies and products. 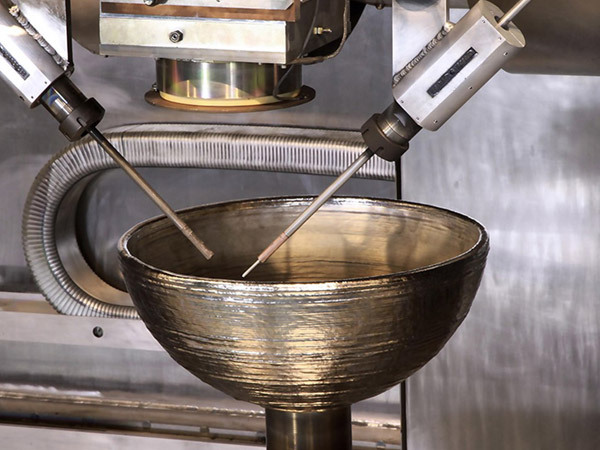 Electron Beam Additive Manufacturing technology can achieve extremely fast “Near Net Shape Pre-Form” for 3D fabrication of functional parts and low volume production, reducing time and costs associated with traditional manufacturing. 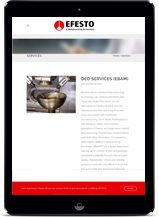 From Rapid Prototyping to maintenance, repair, and overhaul operations of heavy and large parts. Laser cladding, hard-facing and coating, repair of mould tool surfaces and customisation parts on the fly. We can help you to develop the best process solution for your needs. Save time and money on the production of large-scale, high-value metal (titanium, tantalum, inconel, stainless steel, etc.) parts and prototypes with Sciaky’s Electron Beam Additive Manufacturing (EBAM) solution. Lockheed Martin uses Sciaky EBAM to 3D print titanium propellant tank KDVR Fox News.